Gov. Scott Walker (left) is running against Democratic challenger Tony Evers (right) in November. 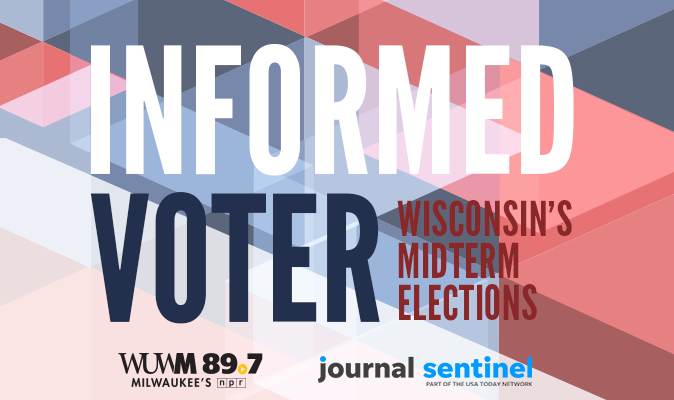 WUWM's Marti Mikkelson reports on the new Marquette Law School poll. In the previous survey from two weeks ago, Evers held a 5 percent lead over Walker. 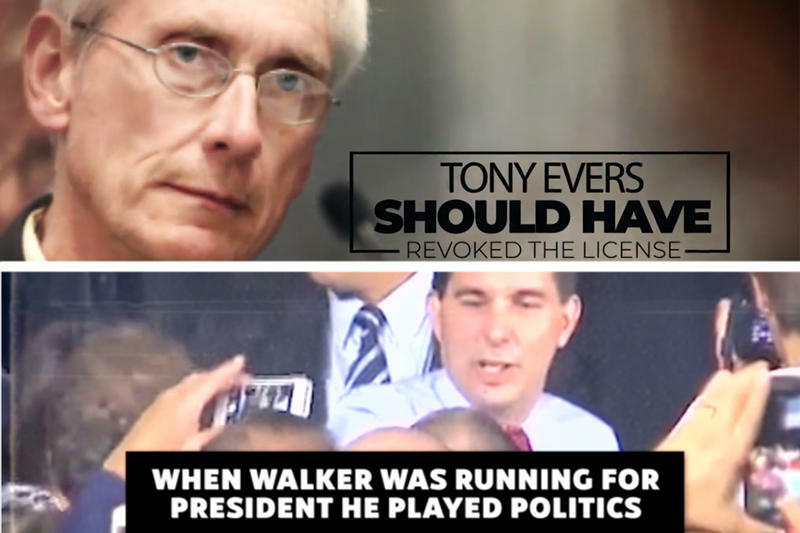 Poll Director Charles Franklin says this time, Evers saw that edge vanish. Walker now leads by one percent among likely voters, well within the margin of error of plus or minus 3.6 percentage points. The statewide poll was conducted last Wednesday through Sunday. Franfklin says it found more GOP voters than Democratic voters in the random sample. Of the 1,000 voters surveyed, 47 percent said they lean Republican, while 44 percent said they align themselves with Democrats. Franklin says other items may have factored in to the tightened governor’s race, including which way independents are leaning. 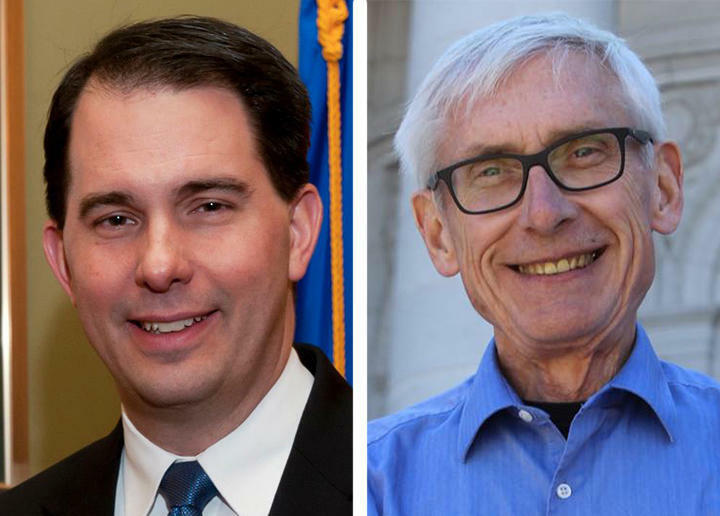 In September, more independents supported Evers, but in this poll, more leaned toward Walker. “The partisan split is just about the same. It’s over 90 percent of partisans staying. It’s the independents who are subject to change and what we’ve seen is some movement in a Republican direction, both in the composition of the sample but also in terms of approval of Trump, but also in things like on taxes and particularly the issue of taxes for road building,” Franklin says. The poll showed President Trump’s approval rating at 46 percent in Wisconsin – that’s up 4 percent from September. It also indicated that voters are willing to pay higher property taxes for public schools but are unwilling to pay higher gas taxes to pay for road repairs. “If the question is, should we spend more on schools? The answer is yes and that probably favors Evers. But should we raise gasoline taxes? The answer is no, and that’s something that Walker has seized on,” Franklin says. The Marquette Law School Poll asked about other big contests. 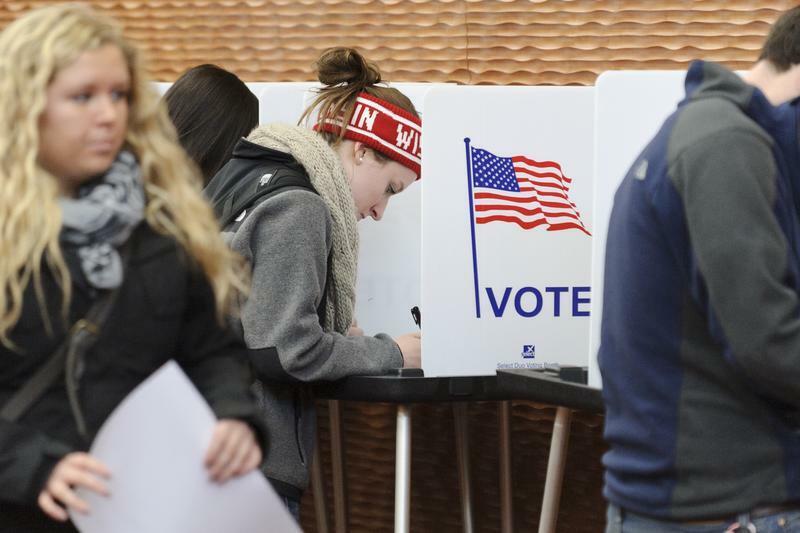 In the race for U.S. Senate, the poll shows incumbent Democrat Tammy Baldwin with a 10 percent lead over Republican challenger Leah Vukmir, Republican Incumbent Attorney General Brad Schimel is ahead of Democratic challenger Josh Kaul by 4 percent. The next poll will be released at the end of the month, shortly before Election Day.